Its still an idea, but research has begun and some progress has been made – in the field of de-extinction or, as I call it, unextinction. 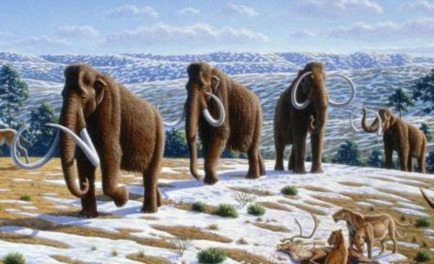 Sir Ian Wilmut, the creator of Dolly the sheep, the world’s first cloned animal, has proposed the resurrection of the woolly mammoth using stem cells from excellently preserved fossil specimens stored in the ice. In South Korea, and many universities in the United States, such projects are already under way – and it is not as far-fetched or impossible as it sounds. Michael Archer, on TED Talks, told an enraptured crowd how the cells of an extinct frog species, after being put in the eggs of another closely related species, actually began to divide – one of the now visible signs of success of the de-extinction process – which began in 2003.